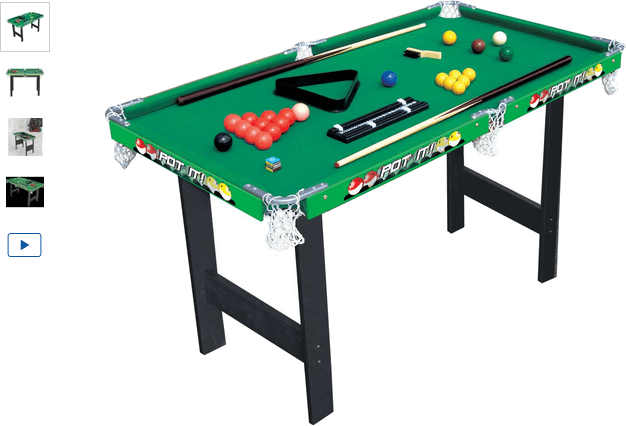 Kids will love playing the Chad Valley 3ft Snooker/Pool Game Table on their own or inviting their friends over to shoot some balls with them. Such amazing fun and something that kids keep going back to for hours of long time play. Get money off with April 2019 free Argos voucher codes, see if there's a promo code for the Chad Valley 3ft Snooker/Pool Game Table product. Argos may be out of stock of this product. To enhance your shopping experience you may also be redirected to a search results page when you click an outbound link. 4.1/5 from 13 recent reviews.